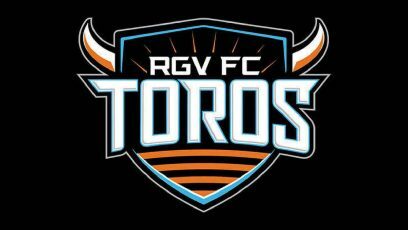 Ruben Luna, who had missed RGV FC’s past three matches due to injury, subbed in during the 73rd minute on Wednesday and scored the equalizer in stoppage time to lift the Toros to a 3-3 draw against Vancouver Whitecaps FC 2 at Thunderbird Stadium in Vancouver, British Columbia. The result moves the Toros to 6-10-4 on the year, as RGV FC remains winless with two draws in its past six matches. Luna’s goal came after Houston Dynamo assignee Jose Escalante drew a foul in the penalty area. Escalante received a long, rolling pass from T.J. Casner just outside the left edge of the penalty box with about 30 seconds to play in regulation. As Escalante took his first touch and stepped into the box, Vancouver’s Dominick Zator made a sliding challenge that sent Escalante tumbling to the pitch. After the referee awarded the penalty, Luna lined up well back of the penalty spot, with his heels touching the circle above the box. He made a straightforward approach to the ball, took one hard step to force a move out of the keeper and then tucked the ball inside the left post for his team-leading fourth goal of the season. Before Wednesday, Luna had been out of action since suffering a leg injury on July 19 against Orange County SC. The Whitecaps built a 3-2 lead earlier in the half after getting the better of a stretch of three goals in 8 minutes. First, Vancouver’s Thomas Gardner sent a through pass into the penalty box that allowed Myer Bevan to split the RGV FC defense and score past keeper Marco Carducci, giving the Whitecaps a 2-1 lead in the 53rd minute. RGV FC answered in the 57th minute, when Kai Greene sent a cross from the right wing into the penalty box for Joseph Holland, who was shoved to the turf by Cole Seiler. Casner took the ensuing penalty shot and rolled it into the left side of the net. The Whitecaps quickly went back in front in the 61st minute, when Vancouver’s Terran Campbell got by RGV FC’s Robbie Sagel to create a scoring chance down the left wing. Campbell curled his run toward the net, crossing the left edge of the penalty box before sending a rolling pass across the 6-yard line that set Kadin Chung up for an easy finish. The match entered halftime level at 1. The Toros got on the board first, with Todd Wharton stealing a pass from Vancouver’s back line to create a 3-on-2 situation in RGV FC’s favor. Wharton sent a lead pass to his right to Kyle Murphy, and Murphy sent a low, right-footed shot trickling into the net off of Vancouver’s keeper. The Whitecaps’ answer was quick, coming in the 23rd minute. After Campbell’s shot from about 6 yards was saved, Marco Bustos collected the rebound and had an easy finish from the middle of the penalty box. Eric Bird did not play for the Toros after taking a red card in RGV FC’s previous outing. Jorginho James was also inactive, serving a suspension for accumulating five yellow cards, and Ivan Magalhaes was not in action for the first time after playing every minute of the Toros’ first 19 games. Justin Bilyeu made his first appearance with RGV FC on Wednesday after the team announced his signing a few hours before the match. A defender who started on the left side for the Toros, Bilyeu was part of the New York Red Bulls II squad that won the USL Cup last season. The New York Red Bulls selected him No. 18 overall in the 2016 MLS SuperDraft, and he made four appearances with the MLS squad and 29 appearances in two years with Red Bulls II. He was waived by Red Bulls II on June 28.